All Degree Candidates! You must have classes, documents, payments completed by June 15, 2019!! Graduation is August 3, 2019! Welcome to All NEW Student and returning one! 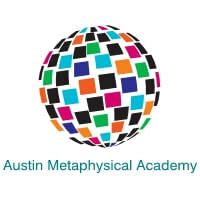 The Austin Metaphysical Academy Headquarters is located in Austin, Texas and we are proud to Educate, Train and Develop those who are seeking understanding of what is or how the Metaphysical Community works and to build tools and skills in this environment. We teach different modalities in this field, such as Psychic Development, Mediumship, Reverend Training, Learning Metaphysical Business, Marketing, Vibration, Texas Curanderismo Techniques, and Financial Abundance, Angel Workshops, Metaphysical Body and much more and more education is added monthly. Not only do you have class time but you can now get mentored over the phone or get a class by doing distance learning. We help in every way we can. You want to learn? Your in the right place. The meetup group will keep you posted of what class(es) we have to offer and you will be kept up to date. This is updated monthly. We now have classes in Killeen, Texas! Metaphysical Science Associates degree, ﻿Click Here﻿ for More Information! AMA Associates Degree Recipients List, Click Here! AMA CLSP Program! For more information, Click Here! Life Experience Can be added towards your Degree at AMA, Click Here! Our Classes meet in Austin, Texas and it's surrounding areas. throughout Central Texas and it's surrounding areas.